The Department of Art Visiting Artist Lecture Series exposes our students and community-at-large to innovative and influential artists, curators, critics, and historians from around the world. The department invites speakers to lecture about their work and to engage with students in small groups or individual studio visits as part of the Visiting Artist Program. All lectures are free and open to the public. Fall lectures begin at 6:00 p.m. in Lawrence Hall, room 177. Winter lectures begin at 4:00 p.m. in Lawrence Hall, room 115. Lawrence Hall is located at 1190 Franklin Boulevard, Eugene, OR, 97403. 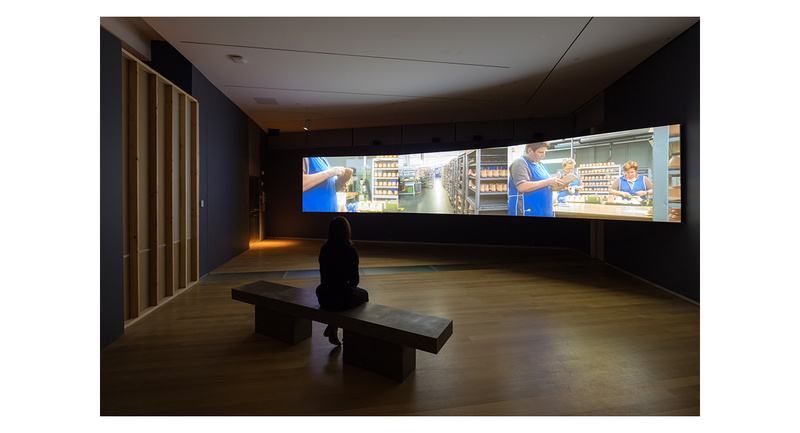 Visit 5 Minutes for conversations between Visiting Artists and MFA candidates and the UO Channel for a video archive of recent lectures. Register for ART 407 to receive 1 credit for attending lectures. No prerequisite is required. The 2018-19 Department of Art Visiting Artist Lecture Series is made possible in part by the Davis Family Fund, the George and Matilda Fowler Endowment Fund, the Gordon W. Gilkey Endowed Fund, the Department of English/Moore Fund, the Department of Landscape Architecture and the Connective Conversations | Inside Oregon Art Program, a partnership between the Ford Family Foundation and the University of Oregon School of Art + Design. This lecture is made possible by the George and Matilda Fowler Endowment Fund. The Island (film still), 2017, 2048 x 1080p, color, 5.1 surround sound; 42 min. Photo credit: TANQ studios. 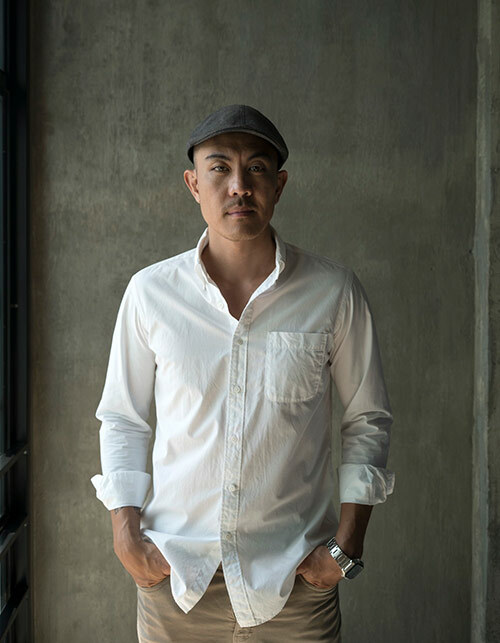 Tuan Andrew Nguyen. Photo credit: Huynh Ngo Van Anh. Over the past 15 years Shana Moulton has been developing her ongoing video/performance series Whispering Pines, in which she plays the role of "Cynthia", both a fictional figure and the artist's alter ego. This talk will present a chronological-anecdotal outline of Moulton's work and forces that shaped it, with video and performance highlights. 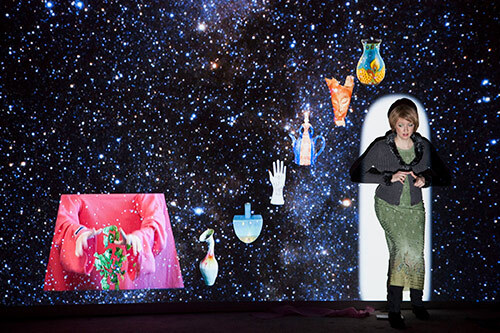 Shana Moulton is a California born and based artist who works in video, performance, and installation. In 2002, she began the video series Whispering Pines, in which she performs as Cynthia, both an alter-ego and an avatar for the artist when she is alone. 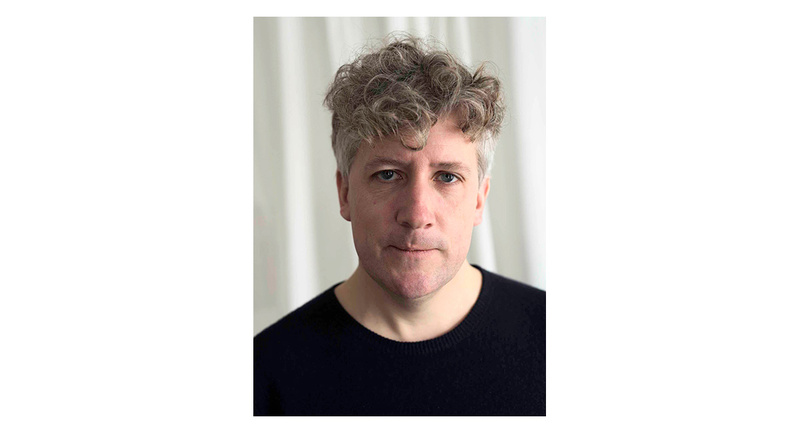 Moulton has had solo exhibitions at the Palais De Tokyo, Yerba Buena Center for the Arts, Fondazione Morra Greco, Kunsthaus Glarus, and a retrospective of work at The Museum of Fine Arts in St. Petersburg. She has performed and screened videos at MoMA, The New Museum of Contemporary Art, Performa 2009, The Kitchen, Art in General, The Andy Warhol Museum, SFMOMA, The Hammer Museum and Cricoteka, among many others. 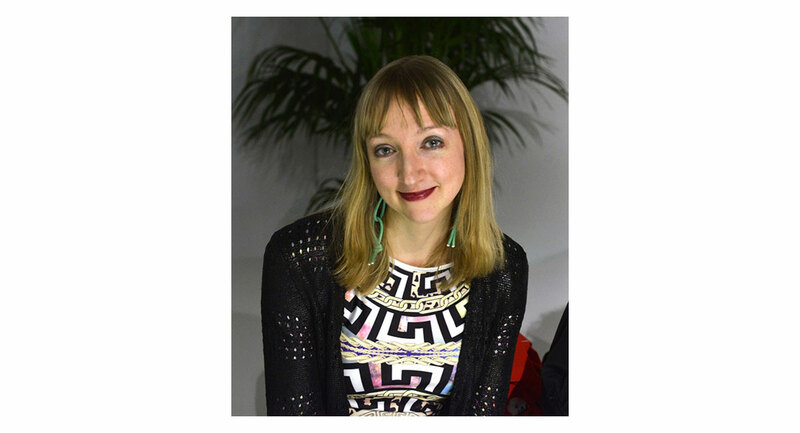 Her work is distributed by Electronic Arts Intermix and she is a featured artist on Art21’s New York Close Up. 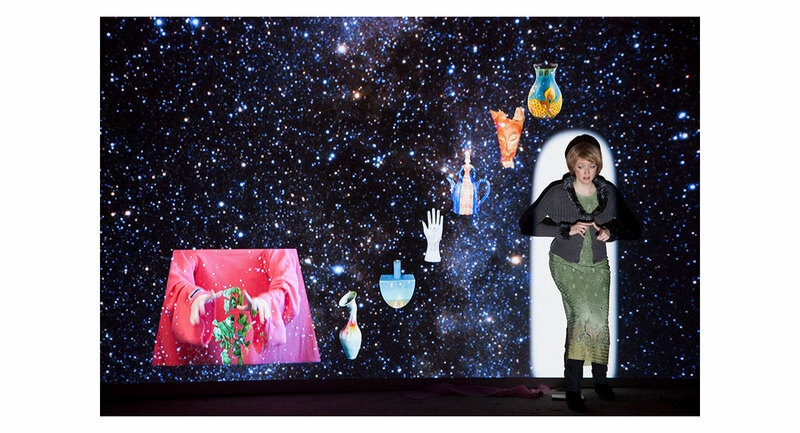 Performance at Fondazione Morra Greco, 2013. Photo credit: Marie Lusa. Every work evolves a form. In this artist presentation, Daniel Canty will attempt to untangle some of the threads that course through his works. Mapping imbricated orbits, tracking transformations of scale, he will endeavour, through the telling, to expose the lines of force of his poetics, which takes the wonders of the written word as its starting point, and modulates their wavelength into a host of living forms. There will be talk of the fidelity to images, of mise en livreand electric art, naïve science and chains of chance, of the aesthetics of friendship and a very loose doctrine of cycles. He will try to expose how the poetics of language, of taking one thing for another, and coming up with something else, can lead one back into the thick of things, to touch the texture of time. 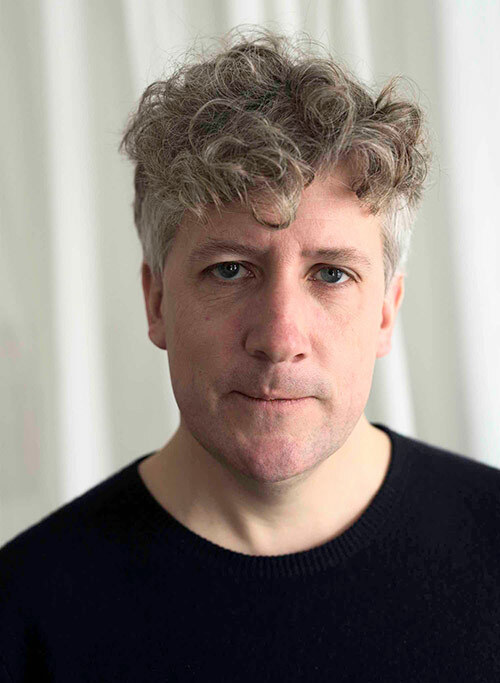 Daniel Canty is a writer, director and artist living in Montréal, Québec. He started producing works on the cusp of the new century. His directorial debut was an online adaptation of Alan Lightman’s fiction,Einstein’s Dreams, his first book, a history of automata in 19th century American literature. Since then, he has been creating a host of living forms, working at the crossroads of literature and bookmaking, film and theatre, the visual arts and design. His practice, which stems from the poetics of writing, and the ethics of directing, extends the written word’s wavelength to encompass a vast range of possibilities. He is fond of works that invent their own form. Over the years, he has written and devised an astonishing array of books and films, interfaces and exhibitions, and collaborated on such improbabilities as “transfrontier odysseys” or librettos for automata. He is steadfastly mapping a universe where the enchantments of language assert their import in the weave of time. 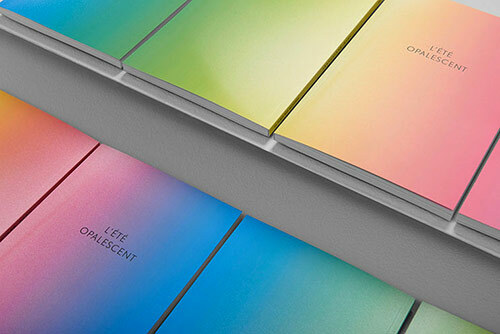 L'été opalescent, 2016, 177 pages, by Daniel Canty. Daniel Canty. Photo credit: Benoit Aquin, 2017. 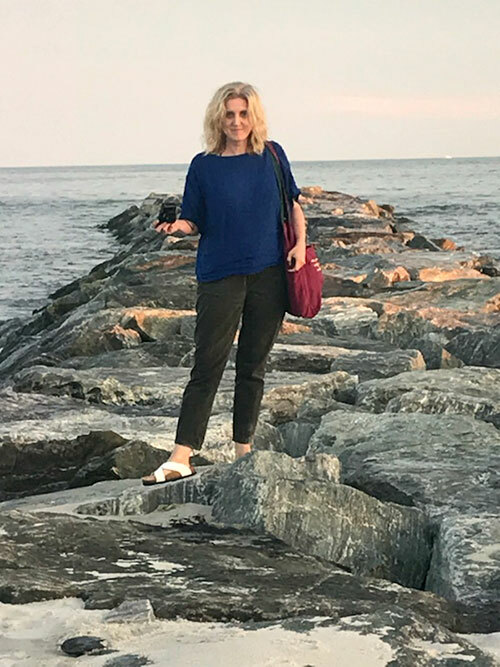 Shannon R. Stratton will present a lecture on work as a curator, founder of a visual arts not-for-profit and co-creator of multiple visual arts platforms. With a studio art background in fiber, Stratton will talk about how her craft training has informed her work as a curator/producer/administrator and how sometimes platforms need to be un-made in order to discover a new use-value. 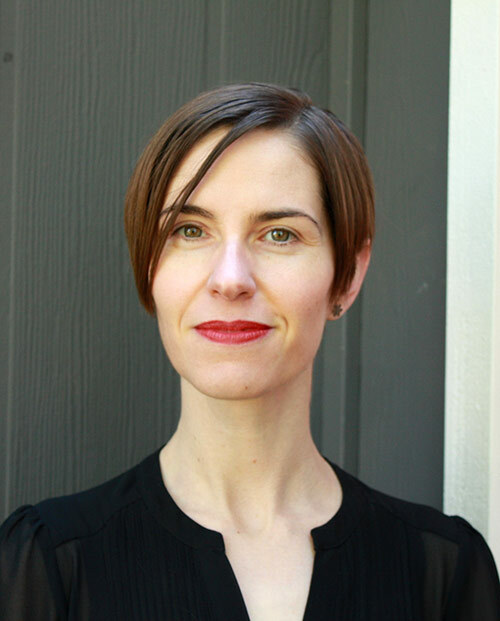 Shannon R. Stratton is the William and Mildred Lasdon Chief Curator at the Museum of Arts and Design in New York. She has worked in the visual arts as an artist, writer, curator, professor, publisher and arts administrator with an emphasis on artist-run initiatives and concepts in contemporary craft. After completing her MFA in 2003 she co-founded the artist-run organization, Threewalls (Chicago), where she was artistic and then executive director for 12 years. At Threewalls, she organized exhibitions with over 100 artists; created The Propeller Fund award in collaboration with Gallery 400 for artist’s self-organizing; conceived and published 4 volumes of PHONEBOOK, a national guide to grass-roots and artist-run organizations across the US; and co-organized the first Hand-in-Glove conference which would lead to the founding of Common Field, a national organization in support of artist-focused organizations. 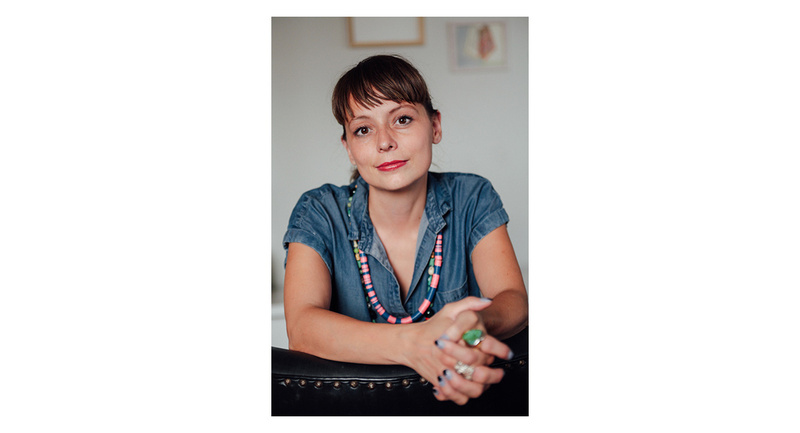 In 2015 she left Threewalls to assume the role of Chief Curator at The Museum of Arts and Design in New York and pursue her interest in the future of craft. At MAD she has reimagined the artistic vision of the institution, programming the exhibition calendar, including curating eight exhibitions, from fall 2015 until present. She continues to organize exhibitions independently, with a particular research interest in expanded concepts of the self-taught and grass-roots cultural production. Installation view of In Time (The Rhythm of the Workshop) at MAD in 2016 with The Unstable Object II, 2015 by Daniel Eisenberg. Photo credit: Butcher Walsh, courtesy of the Museum of Arts and Design. Shannon R. Stratton. Photo credit: Jenny Walters. Narratives, objects and spaces are processed and understood through their parts. Whether deconstructing a life, a city, a tool, or a sentence, the fragmented nature of things both proceed and conclude cycles of identity and meaning. Ebitenyefa Baralaye will discuss his work and shifting narratives around the things we build, use, and break. Baralaye’s work explores overlaps in personal, spiritual, and cultural semiotics and considers how material, form, and context together mediate our sense of social and psychological presence. Ebitenyefa Baralaye is a ceramist, sculptor, and designer. 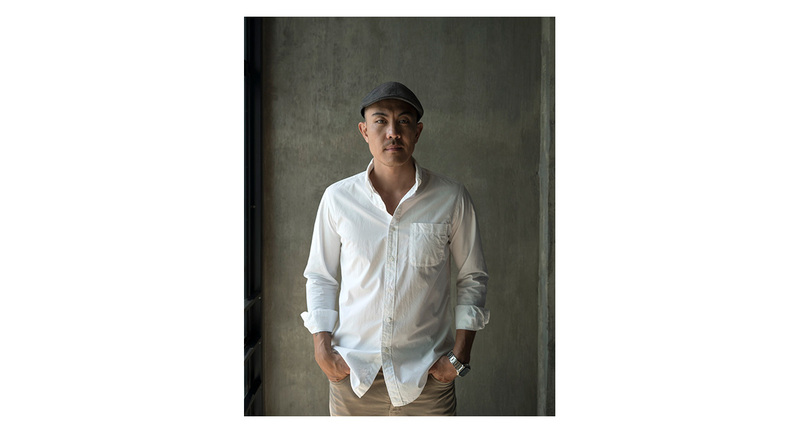 His work explores cultural, spiritual, and material translations in form/objects, text, and symbols interpreted through a diaspora lens and abstracted around the aesthetics of craft and design. Baralaye received a BFA in Ceramics from the Rhode Island School of Design and a MFA in Ceramics from the Cranbrook Academy of Art. Baralaye was an Emerging Artists Program recipient at the Museum of the African Diaspora in 2017 and recently an AICAD Teaching Fellow at the San Francisco Art Institute. 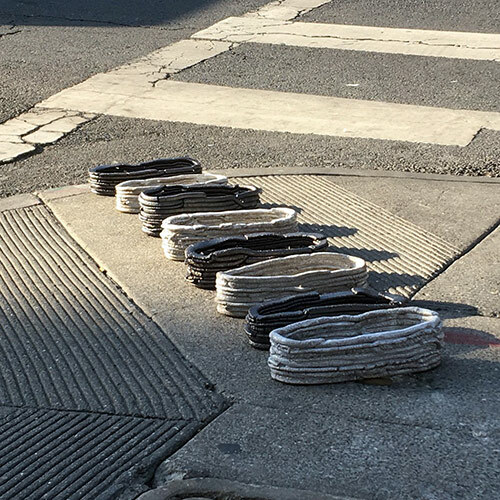 ContAxts (Tenderloin), 2017, stoneware, glaze, environment. For this lecture, Alexandria Eregbu walks us through her creative process as a multidisciplinary artist. 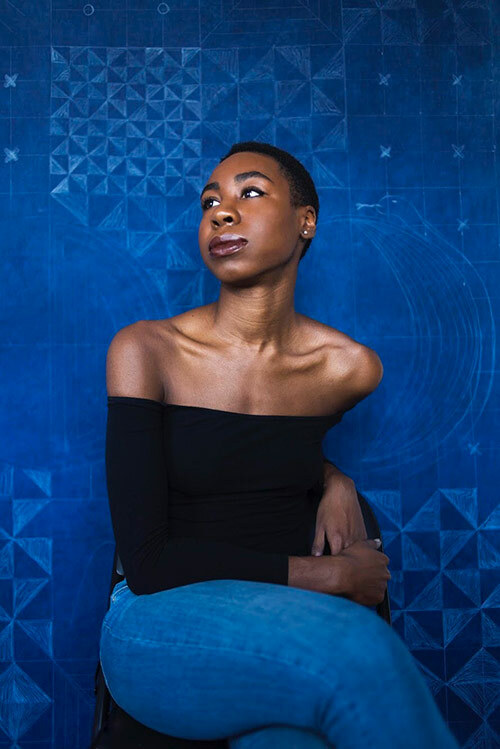 She begins with her middle name, ‘Ijeoma’ an Igbo name that is traditionally given from Nigerian fathers to their daughters, meaning ‘safe or good journey.’ Here, Eregbu draws connections between personal, familial, and diasporic histories that have emerged within her artistic practice. In doing so, Eregbu further examines the role that origin stories and community storytelling have played in her commitment to narrative/world building—forums which the artist believes, lead to the preservation and empowerment of the individual and collective spirit. Topics addressed in this lecture include: 1.) Materiality + Textile Studies 2.) Visual Communication + Design in Nature 3.) West African Performance, Art, + Philosophy 4.) Surrealist Discourse + The Marvelous. 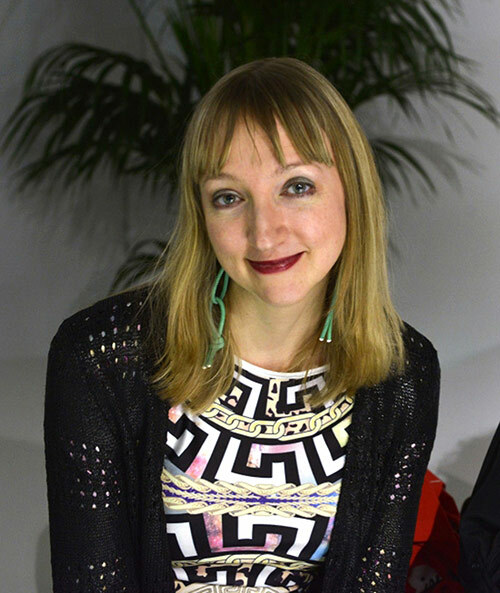 Alexandria Eregbu is a visual artist and independent curator. At her core, Alexandria is most passionate about re-imagining 21st century possibilities for creative practice through service and support structures that promote sustainability and accessibility for artists and communities engaging the arts. As an artist, her practice has illuminated pathways globally, nationally, and throughout the Midwest. She has held fellowships with ACRE (Steuben, WI); HATCH Projects, Stony Island Arts Bank, (Chicago, IL); The Center for Afrofuturist Studies (Iowa City, IA), Independent Curators International (New Orleans, New York City, Martinique); and The Camargo Foundation/3Arts Residency (France). 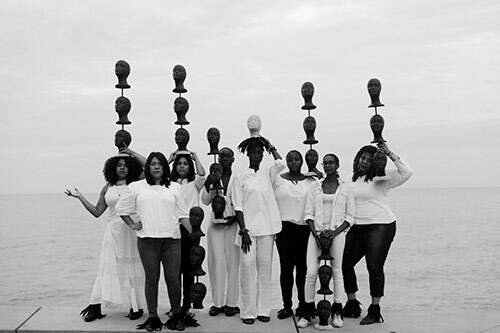 Among her curatorial projects includes du monde noir, an artistically run collective which seeks to identify contemporary evidences of Surrealist activity produced by visual artists and writers of the African diaspora in the U.S. and abroad. 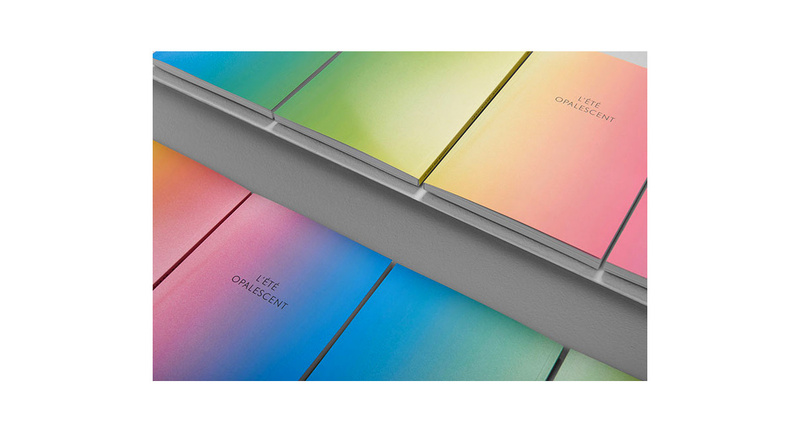 Forthcoming projects include Oh, Heavenly Father, Mother Ocean, and Cosmic Seed…! her solo show at Ditch Projects in Eugene, OR. *Note this lecture is on a Tuesday. This lecture is made possible in part by the Fibers Foundation. This lecture is free and open to all. Julia Bryan-Wilson is the Doris and Clarence Malo Professor of Modern and Contemporary Art at the University of California, Berkeley; she is also the Director of the UC Berkeley Arts Research Center. She is the author of Art Workers: Radical Practice in the Vietnam War Era (2009); Art in the Making: Artists and Their Materials from the Studio to Crowdsourcing (2016); and Fray: Art and Textile Politics (2017), which was awarded the 2018 Robert Motherwell Book Prize. Bryan-Wilson’s influential writings on feminist and queer theory, craft histories, and contemporary art in the Americas have been widely published in venues that include Afterall, Artforum, Art Bulletin, Bookforum, differences, Grey Room, October, Oxford Art Journal, and Parkett, and she is the cocurator of the traveling exhibition Cecilia Vicuña: About to Happen. 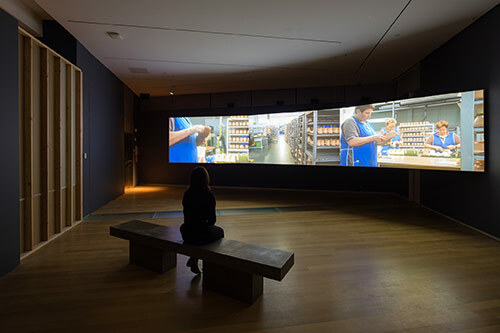 This lecture is made possible by the Connective Conversations, Curator and Critic Tours and Lectures, a partnership between The Ford Family Foundation and the University of Oregon School of Art and Design. This lecture is free and open to all. 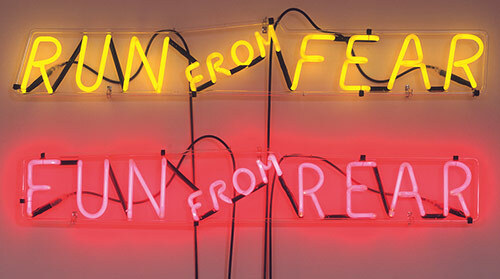 Bruce Nauman, Run from Fear, Fun from Rear, 1972, Neon, Part a: 8 × 46 × 2 1/4 in. part b: 7 1/4 × 44 1/2 × 2 1/4 in. 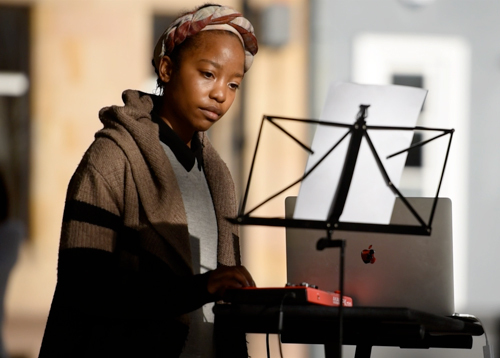 Steffani Jemison’s work has been exhibited nationally and internationally, including solo exhibitions and commissioned performances at MASS MoCA, Nottingham Contemporary, Jeu de Paume, the Museum of Modern Art, LAXART, the New Museum of Contemporary Art, and others. Her work is in the public collections of the Museum of Modern Art, the Whitney Museum, the Brooklyn Museum, the Studio Museum in Harlem, and Kadist. 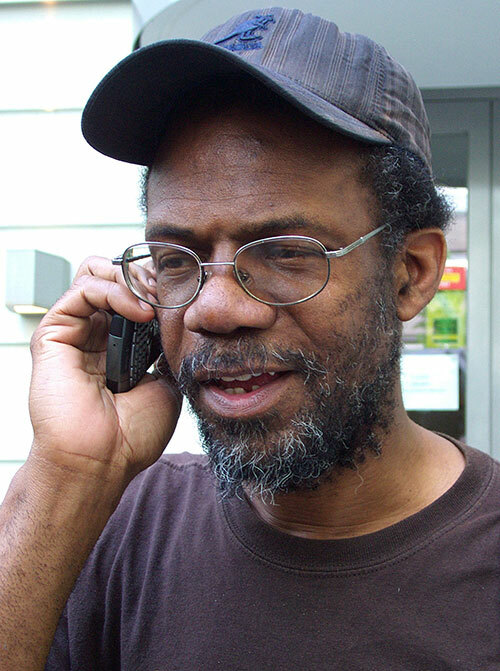 Jemison has completed many artist residencies and fellowships, including a Radcliffe Institute Fellowship at Harvard University, the Rauschenberg Residency, the Sharpe-Walentas Studio Program, Studio Museum in Harlem AIR, the Core Program at the Museum of Fine Arts Houston, and the Skowhegan School of Painting and Sculpture. Jemison holds an MFA from the School of the Art Institute of Chicago and a BA in Comparative Literature from Columbia University. She is an Assistant Professor at Mason Gross School of the Arts, Rutgers University and lives and works in Brooklyn, NY. 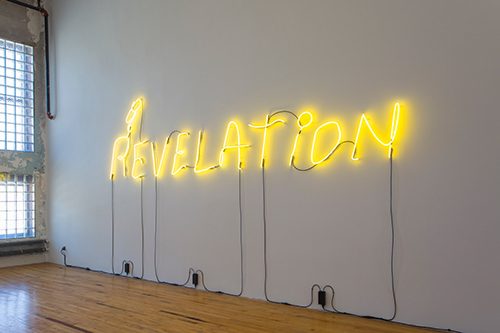 REVELATiON, 2017, 54.5" x 207", Neon, transformers, hardware, © David Dashiell, courtesy of MASS MoCA, North Adams, MA. Steffani Jemison. Photo courtesy of the artist. 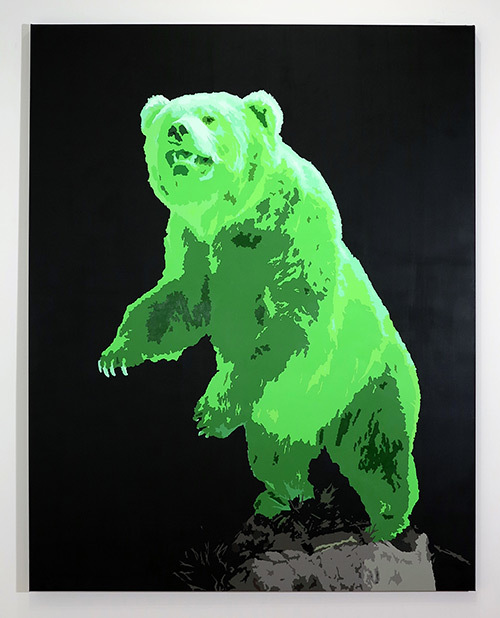 Bear, acrylic on canvas, 68”x54”, 2016. With a 20-year history of picture making, Whitney Hubbs explores both straightforward and uncertain modes of image production. Educated as a traditional documentary photographer and as a conceptual artist examining the role of photographs, Hubbs brings a rigorous approach to her work. Her subject matter has included staged poems to the landscape, the figure in the landscape, self-portraits, and literal and abstract examinations of the female body. Born and raised in Southern California with a brief stint in Portland, Oregon, Whitney Hubbs was involved in the punk rock riot grrrl community from a young age, where she made fanzines, organized art shows, participated in performances and worked as an activist. She later received her BFA from the California College of Arts in 2005 and an MFA at UCLA in 2009. Hubbs has participated in group exhibitions at The J. Paul Getty Museum, Gallery Luisotti, and Shulamit Nazarian Gallery in Los Angeles, CA; The California Museum of Photography, Riverside, CA; Ballroom Marfa, Marfa, TX; Yancey Richardson Gallery, Fresh Window Gallery, and Situations Gallery in New York City, NY. 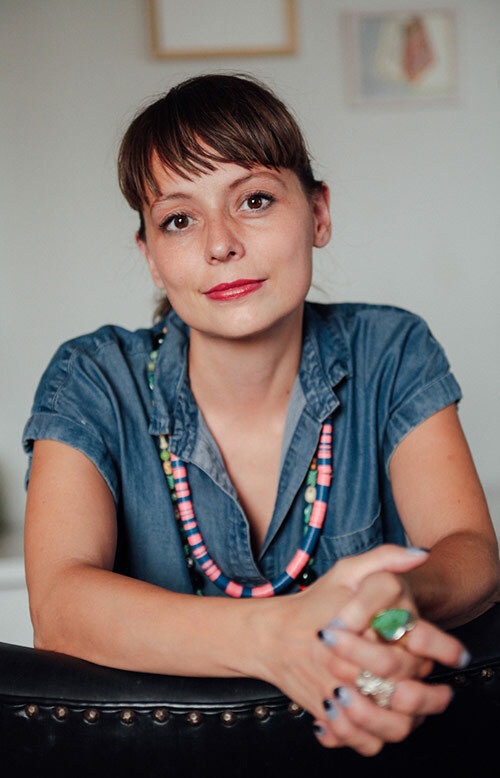 Her book, Body Doubles, was published by Hesse Press (Los Angeles) in 2016, and in 2019 she will publish a book with Self Publish Be Happy. Hubbs is represented by M+B Gallery in Los Angeles and Situations Gallery in New York City. Hubbs is an Assistant Professor of Photography at Alfred University, Alfred, New York and lives and works in New York State. Whitney Hubbs. Image courtesy of Sameer Kapoor. 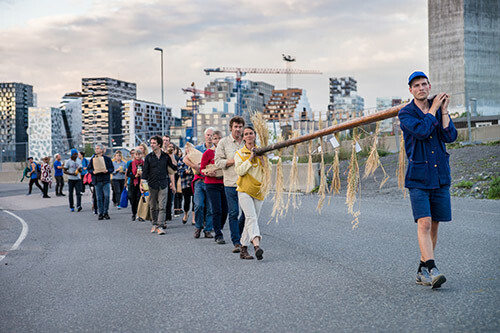 In this lecture, Amy Franceschini will present the work of Futurefarmers, an international group of artists, activists, farmers and architects with a common interest in creating frameworks of participation that recalibrate our cultural compass. 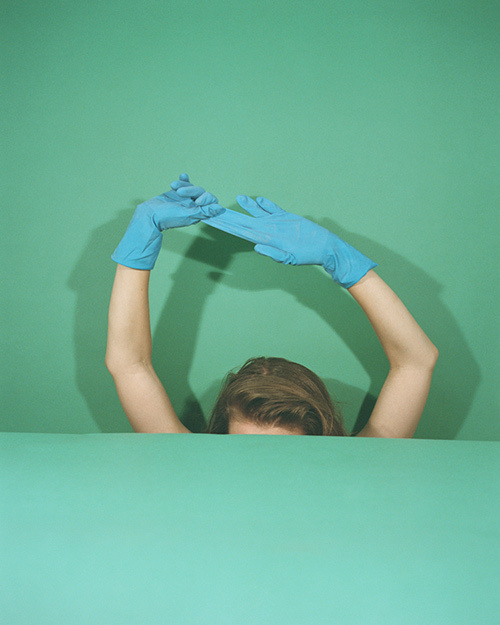 She will discuss how their work uses various media to enact situations that disassemble habitual apparatus. Through public art, architecture, museum installations, publications and temporary educational programs inside institutions, they have transformed public policy, urban planning, educational curricula and public transportation plans. Futurefarmers’ work often creates relational sculptures and tools for audiences to gain insight into deeper fields of inquiry- not only to imagine, but also to participate in and initiate change in the places we live. Amy Franceschini (b. 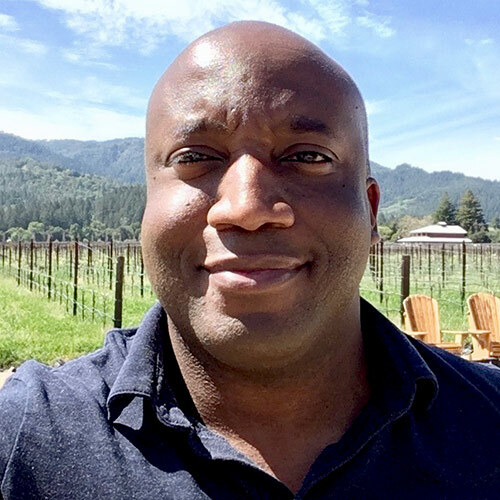 1970 Patterson, CA, US) lives and works in San Francisco and Gent, Belgium and is the founder of Futurefarmers. 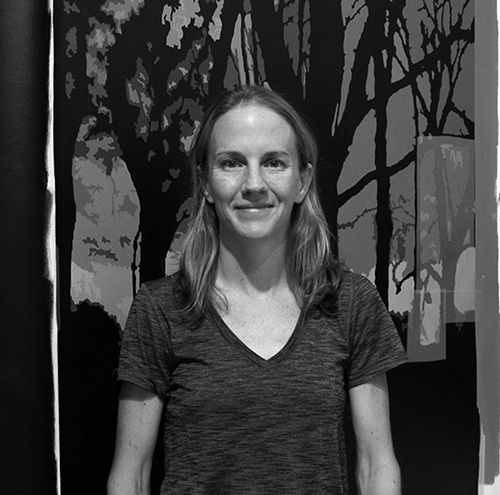 Amy received her BFA from San Francisco State University in 1992 and her MFA from Stanford University in 2002. Amy has taught as an adjunct and visiting professor in the graduate programs in art at California College for the Arts, Stanford University and San Francisco Art Institute since 2003. 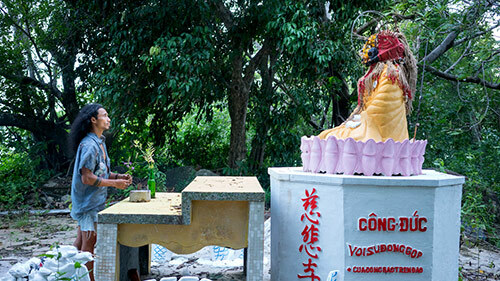 Her work has been exhibited at the Guggenheim Museum in New York, the Whitney Biennial in New York, MOMA, San Francisco Museum of Modern Art, The Canadian Center for Architecture in Montreal, the 2014 Venice Architectural Biennale, the 2017 Sharjah Biennale, the 2018 Taipei Biennale and she is the recipient of a 2010 Guggenheim Fellowship, 2017 Herb Alpert Award for Visual Arts and a 2019 Rome Prize Fellow in Design. This lecture is made possible in part by the Departments of Art, English/Moore Fund, and Landscape Architecture. 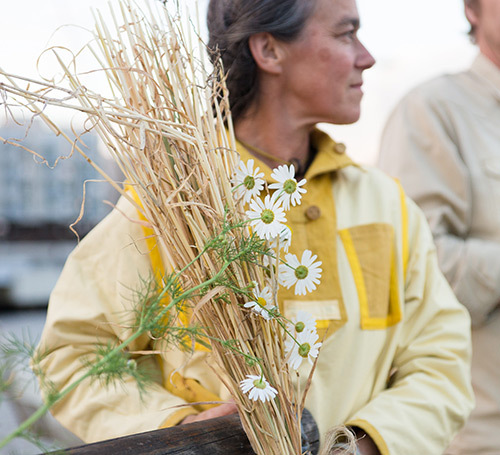 Amy Franceschini. Photo by Monica Lovdahl. 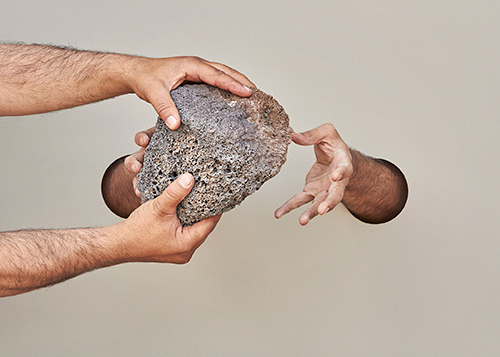 Shadi Harouni will consider the metaphysics of hope alive in contested bodies, forbidden objects and forgotten histories. Her lecture looks at mountain and monument, both erected and imagined, as sites of humor and resistance, forgetting and despair. She will discuss the development of her practice and recent completed, ongoing and failed projects. Shadi Harouni is an artist based in New York and Tehran. Harouni's practice ranges from site-specific interventions and sculptures, to printmaking, photography and film. 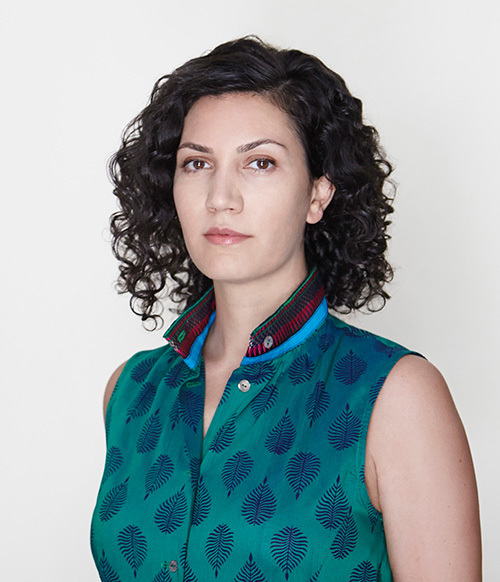 Her research is centered on disavowed and marginalized histories of dissent and resistance, chiefly in the Middle East. Harouni’s projects have been exhibited at Queens Museum (NY), Kunstmuseum Bonn (DE), Prague City Gallery (CZ), University of Toronto (CA), Fondazione Ratti (IT), Elizabeth Foundation for the Arts (NY). Her work has been featured in Art Forum, The New York Times, The Guardian, Flash Art and Mousse, among others. She has been awarded a Gattuso Prize for Outstanding Exhibition, Harpo Foundation Grant for Artists, AIR Fellowship, residencies at Skowhegan (ME), SOMA (MX), LES Printshop (NY). Harouni holds an MFA from NYU (2011) and a BA from University of Southern California (2007). She serves as Visiting Assistant Professor and Director of the Undergraduate Program in Studio Art at New York University, Steinhardt. Shadi Harouni. Image courtesy of the artist. 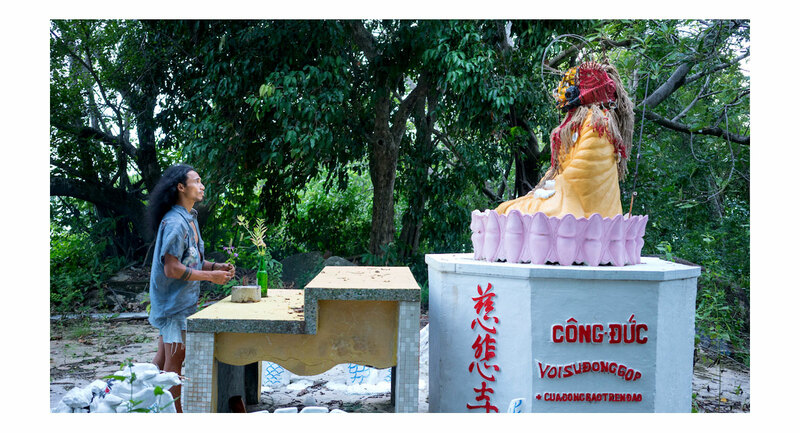 Pope.L will present a compact survey of several strands in his art practice to-date. Pope.L (b. 1955, Newark) is a visual artist and educator whose multidisciplinary practice uses binaries, contraries and preconceived notions embedded within contemporary culture to create art works in various formats, for example, writing, painting, performance, installation, video and sculpture. Building upon his long history of enacting arduous, provocative, absurdist performances and interventions in public spaces, Pope.L applies some of the same social, formal and performative strategies to his interests in language, system, gender, race and community. The goals for his work are several: joy, money and uncertainty— not necessarily in that order. This lecture is made possible by the Davis Family Endowed Fund in Art. 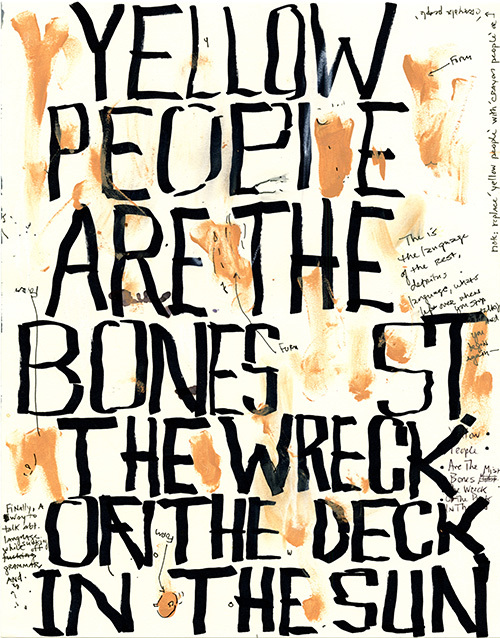 Yellow People Are The Bones St The Wreck On The Deck In The Sun, 2010, mixed media on paper, 11.9 x 9 inches, Courtesy of Pope.L and Mitchell-Innes & Nash. Pope.L. Photo courtesy Pope.L and Mitchell-Innes & Nash.